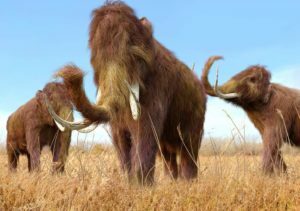 Japanese and Russian scientists trying to resurrect woolly mammoths are risking a morally hairy situation. If this sounds like something out of Jurassic Park, it is indeed in the same general territory but even more realistic. In the famous bring-back-the-dinosaurs book and movie, the great reptiles were resurrected using DNA from yet another species — in that case, insects trapped in amber. This time, rather than rely on DNA from insect-bearing, semi-precious gems, the scientists are taking the DNA tissue directly from preserved specimens of the very species they are trying to regenerate. Still, the same underlying cautionary tale that suffused Jurassic Parkshould give pause to these scientists as well. The law of unintended consequences applies: Just as occurs when foreign species are released into new ecosystems, all sorts of harm and destruction can occur when humans try to play God with creation. One need not fear mayhem on the streets of San Diego (as in “The Lost World”) to realize that much can go wrong, either with the science or the subsequent human reaction thereto, from the introduction of a now-alien life form. More than those specifically practical concerns, ethical and moral questions should arise as well. Where should human science draw moral lines? When should humankind be humble about this Earth that is our inheritance? If man assumes the authority to recreate long-expunged life, how is his reach, or ego, or awesome power to be limited?